England is a small and beautiful country. 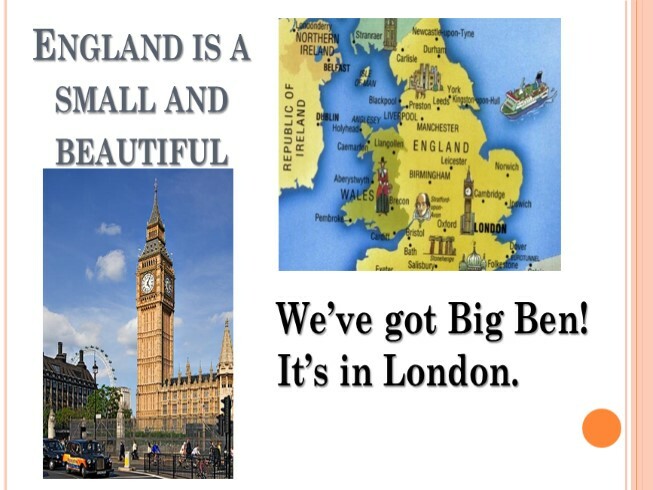 We’ve got Big Ben! It’s in London. Hi! My name is Dave. 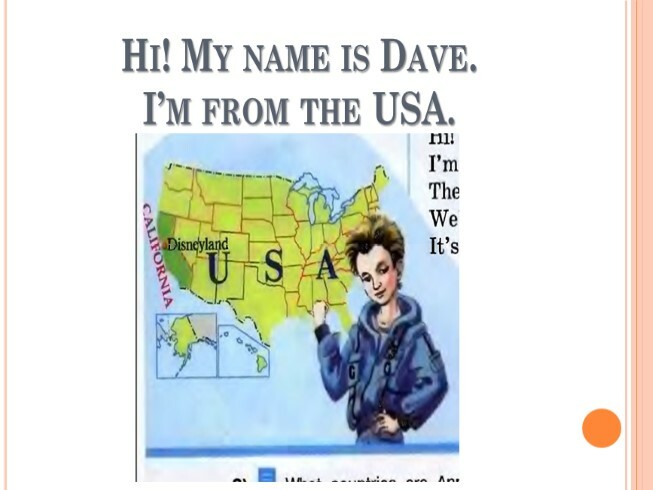 I’m from the USA. 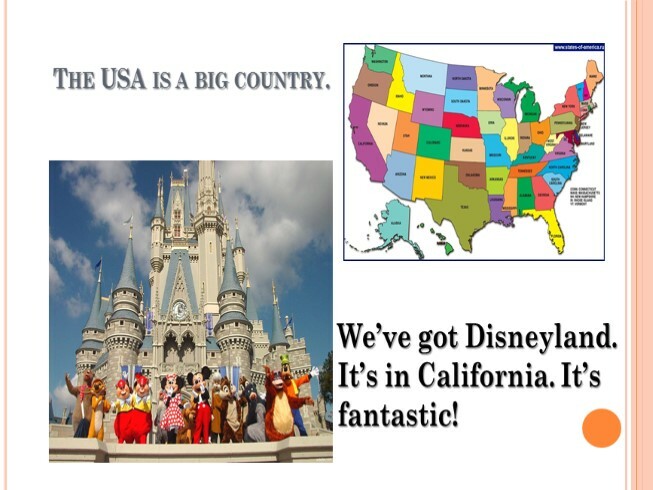 The USA is a big country. We’ve got Disneyland. It’s in California. 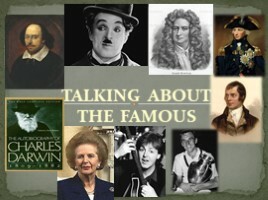 It’s fantastic! 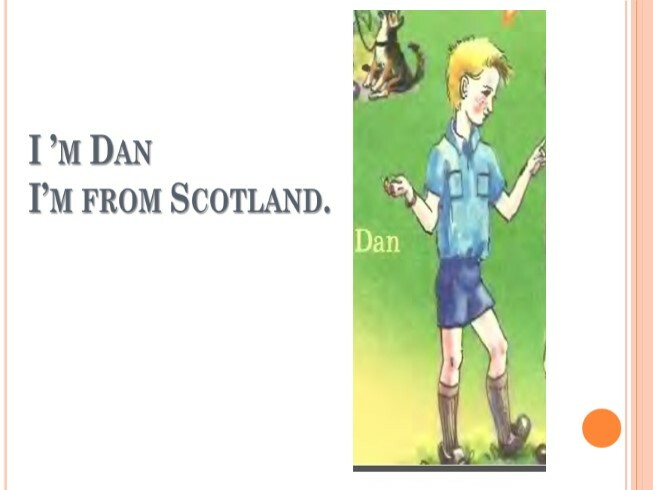 I ’m Dan I’m from Scotland. Scotland is a beautiful country. We’ve got a monster. 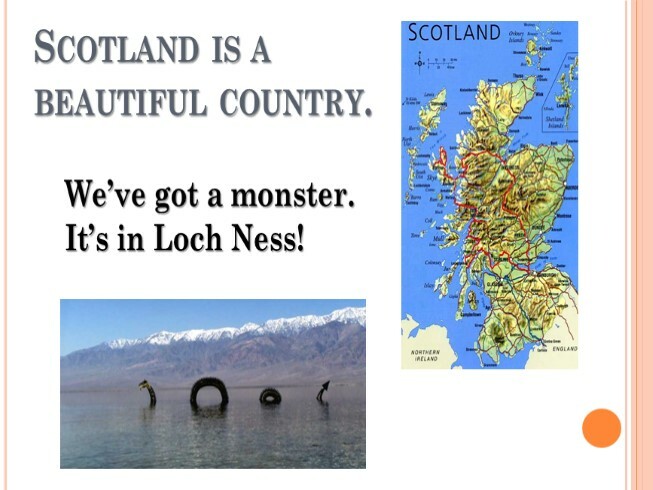 It’s in Loch Ness! Hello! 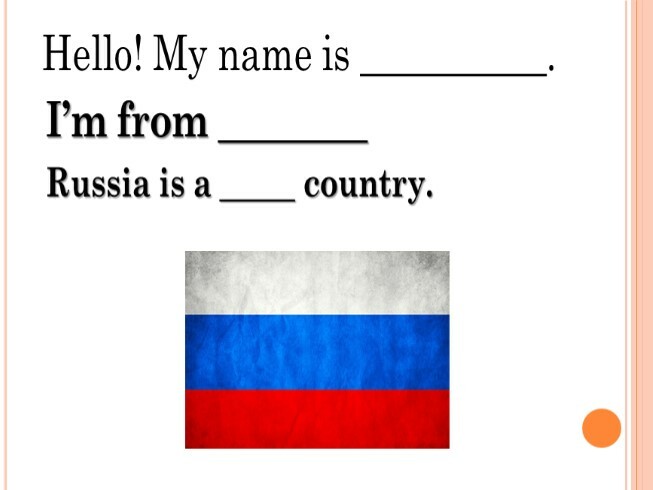 My name is __________. 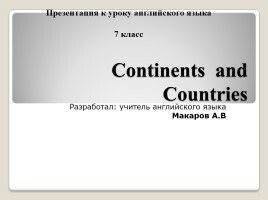 Russia is a _____ country. 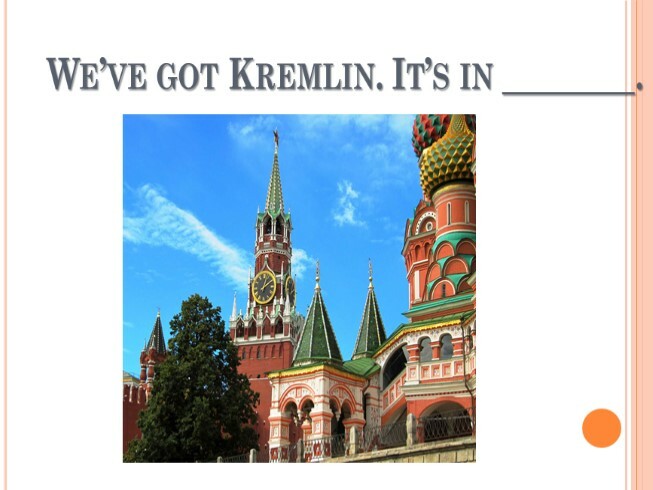 We’ve got Kremlin. 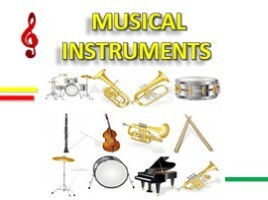 It’s in ________.